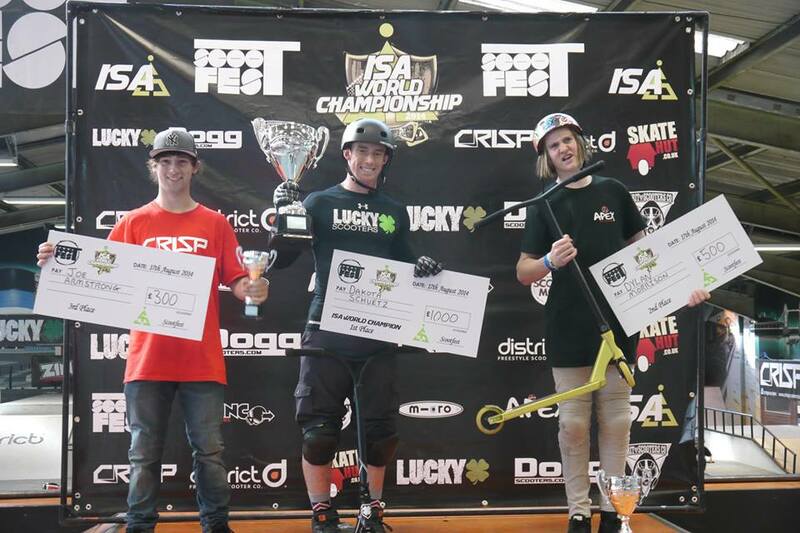 For the past three years the ISA World Final has been the biggest scooter event in the industry. With every top pro from around the world going to compete against one another you know it’s going to be crazy. I’m sure this year will be no different. 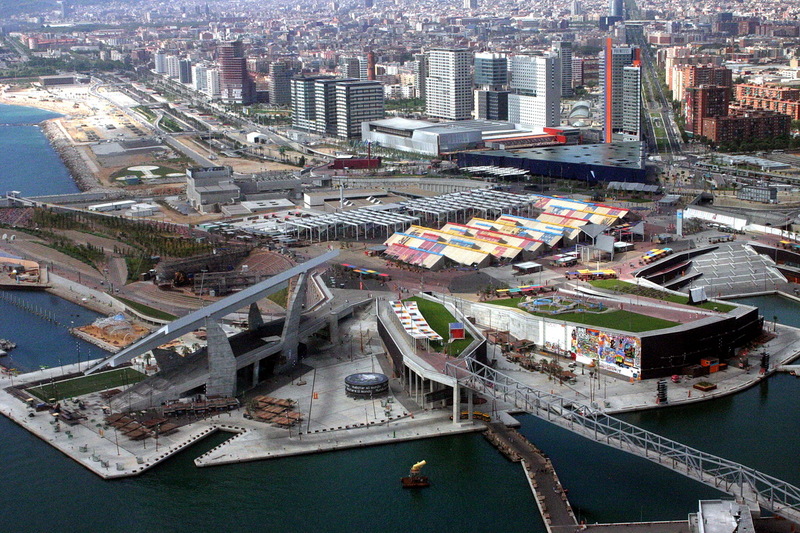 Just recently the location for this years world final was announced - Barcelona will hold the 2015 ISA’s. Barcelona is an incredible place with lots of beautiful scenery and lots of rad parks which makes it the perfect location for something like this to be held at. I’ll do a bit of a recap below about last years ISA and what you might be able to expect this year. I wasn’t personally at last years ISA world championship so I’m writing this overview based off of what I’ve heard and what I’ve watched. Last years ISA was held in Stroud, UK at Rusch skate park. There was a huge turnout with tons and tons of riders and spectators. They even painted the park with a ton of company logos which made it even more of a legit competition. Thousands of people were there riding or cheering for their favorite rider so you know the park was loud. There were about 50 riders there competing for the world title. Keep in mind there were many more riders than 50 there just only 50 got to compete because you had to qualify to compete. There were a few questions up in the air like “would Kota hold his title as world championship?”, “would any worlds firsts be throw?”, “who would be the upset and place higher than everyone imagined?”, and so much more. The pro runs started and everyone did great. The top 15 would be hard to decide but the judges were able to come to a decision and pick the top 15 riders that would be moving on to the finals. Among those 15 were favorites Kota, Dylan Morrison, and more. People had been placing bets all day on who would win, Kota or Dylan. Kota was set on holding the world championship title and it seemed like nothing would stop him. Welp, this was true. Even after everyone rode there hardest Kota was able to come out on top and take the world championship title yet again. Dylan came second and was less than one point away from beating Kota; however Dylan did manage to win best trick with a flair bar bar bar bar. Yup you read that right, a flair with four barspins. You can check out the clip below. In the end everyone had a great time at a great event. It was well hosted and well organized. Everyone was already getting pumped for next years ISA. It was even said that Dan Avery had brought an umbrella to the event and was hanging it over Kotas head as some sort of funny ritual. Overall, everyone had fun and killed it! Look for even more from Kota next comp and prepare yourself as he plans to storm the competition. Next year the competition will be even harder and Kota will have to work even more if he wants to win. Like you read earlier, this years ISA competition will be held in Barcelona Spain as part of “Extreme Barcelona”. It’s projected to be even bigger than last years competition with more sponsors and greater riding. They will be building a whole new course designed specifically for scooter riders which I find so rad. It’s sick to see scooters get big enough where instead of a championship being held at a certain park, a park is built specifically for that competition. The competition will be June 13th and 14th at Parc Del Forum, Barcelona with qualifiers being the 13th and the finals being held on the 14th. Here’s a video that showcases last years Extreme Barcelona. Just look at how insane the scenery looks! This years championship is going to be insane!